Professional PHP Contractor & Freelancer. Currently stationed in Melbourne, Australia. Welcome to the home of The PHP Ninja! I provide professional PHP freelancing, contracting and subcontracting to entrepreneurs, software development firms and HR companies. I can write pretty much any web / internet based application that you can imagine. I have experience with field merchandising solutions, online surveys, e-commerce stores, auction sites, project management solutions, invoicing solutions, member based services with secure multi-level login zones, online communities and much more! You need a world class product developed, and you want to leverage open source technologies like PHP, Postgres, MySQL, Linux, etc. You are looking for a developer with the skills and experience to deliver your project on-time. You need clean, object-oriented code that's secure and easy to maintain. You are looking for someone you can trust, and you can pick up the phone and call any time (even at night or on the weekends). You want someone who understands the pressures and needs of business. You want someone who is an excellent communicator and can confidently talk to your clients if necessary. If this sounds like you, please fill in the contact form below. You can use the form below to send us a message. Please note that all fields marked * are required. You may ask yourself “why hire a contractor for my php project?”. Here’s an article that I wrote about why I love PHP. 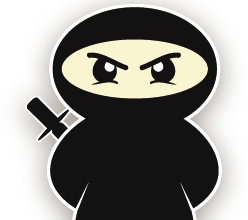 For PHP development in the UK, please see The PHP Ninja Oxford, Oxfordshire.